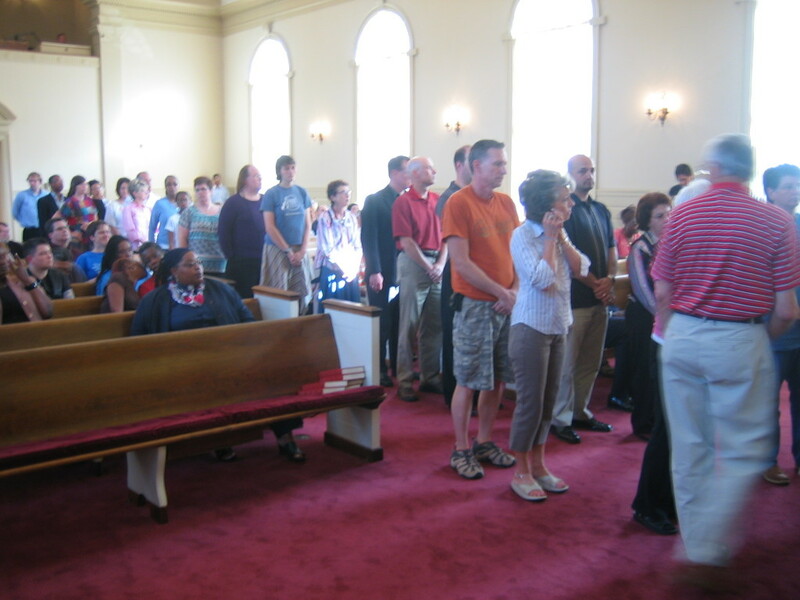 (APN) DECATUR — A standing-room only crowd packed the sanctuary at the First Christian Church here Tuesday night, April 28, 2009, to hold a vigil for a Stone Mountain teen who committed suicide. 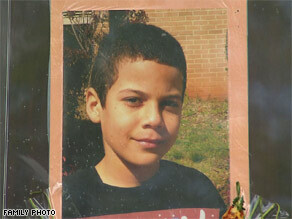 Jaheem Herrera, an 11-year old student at Dunaire Elementary School, hanged himself on April 16 after enduring persistent bullying over his perceived sexual orientation and ethnicity. According to CNN, Herrera had complained that students had called him ugly, virgin [he’s from the Virgin Islands], and gay, despite the fact that Herrera did not identify as homosexual. Herrera’s mother told the Atlanta Journal-Constitution newspaper that in addition to name calling, she had previously complained to school officials because other students allegedly tried to choke him in the bathroom. Other parents have since complained that their children have also faced verbal and physical bullying at the school. “I am devastated that someone at 11 years old could feel like they were out of options,” the Rev. Paul Turner, founder and senior pastor of Candler Park’s Gentle Spirit Christian Church, said. “We completely agree that something of this nature should not go unnoticed,” the Rev. Dennis Meredith, pastor of the Tabernacle Baptist Church in the Old Fourth Ward, said. The Rev. Josh Noblitt, Deacon in Residence at the Saint Mark United Methodist Church on Peachtree Street, led the audience in prayer and lighting candles to honor Herrera. Many speakers noted Tuesday that adults should lead children through example, teaching them tolerance and respect for their peers. “All of us… must work together to address the serious problem and [maintain] constant vigilance,” Rene J. Sanchez, co-president of Parents, Friends, and Families of Lesbian and Gay (PFLAG) Macon, said. Sanchez pointed out that four pre-teens across the nation have committed suicide this year under similar circumstances as Herrera. Only 10 days before Herrera, Massachusetts 11 year old, Carl Joseph Walker-Hoover, hanged himself after enduring taunts and bullying at school. A note he left for his family did not explain why he did it, according to an April 20 report in The Boston Globe newspaper. “We as a society must stop demonizing gays and immigrants for short-term political gains,” Sanchez said. Georgia Equality, which sponsored the vigil along with the Faith and Community Alliance, PFLAG, and the Refugee Resettlement and Immigration Services of Atlanta, urged the community to send letters and emails to state lawmakers to support anti-bullying legislation in 2010. In 2008, the Georgia Senate and two House committees unanimously passed such legislation but it never made it to the full House for a vote. In 2009, the legislation did not come up. Jeff Graham of Georgia Equality lamented this fact in his remarks Tuesday. “We as a community have failed Jaheem,” he said. Graham said now is the time to build a coalition, not just in Metro Atlanta, but all across Georgia in favor of such legislation. “I want to say to young people to be authentically yourself because God knows everything about you and God loves you,” she added. Representatives of Lambda Legal, a national organization that supports the legal rights of LGBTQ Americans, were on hand to provide assistance to anyone who might be facing troubles of their own. Herrera’s family held his funeral Tuesday in St. Croix in the Virgin Islands.